Is there any more relaxing way to chill out or nod off than in a gently rocking hammock bed? We don't think so. With a hammock there is virtually no chance of discomfort; no niggly bits of plastic or metal digging into you, and no lumpy ground in your back. You are, quite simply, fully supported in your relaxation. Of course the key to ensuring you enjoy the most blissful experience possible is buying exactly the right product for you; a hammock that suits your needs, budget, location and weight. That's where this site comes in. WhatHammock.com provides all the info you need to find the perfect hammock for you, with independent reviews of models by Hatteras, Kelsyus, Pawleys Island, ENO, Grand Trunk and many others. You will also find advice on different types of hammock, from ultra-light backpacking and travel models to beach, jungle and traditional hand-woven mayan hammocks. We even cast our eye over related patio furniture such as hanging swings and air chairs. Need a quality hammock for camping? We can help. Not sure whether to buy a cotton or polyester rope model? We explain the fabric pros and cons. Curious which products received the highest online customer ratings? We've all the info. From great value cheap hammocks to original naval models and luxurious quilted versions for the garden, WhatHammock is designed to bring you exactly the product info you need. We hope you find it useful. At WhatHammock we really value your knowledge and would love to include your thoughts on this site to better serve our visitors. To share your own hammock experience and help us keep improving, please visit our hammock reviews page. Information and ENO hammock reviews to help you choose the best model for you. Learn which of the cheap hammocks on the market is the best buy for you with our independent tips and buying advice. Buying advice and Kelsyus portable hammock reviews to help you make an informed choice. Buying advice and Clark Jungle Hammock info to help you make the best choice. Reviews and advice about Tree Hugger hammocks to help you make the right buying choice. 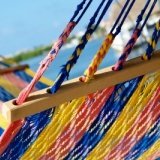 A growing selection of genuine hammock reviews written by real hammock owners. Add yours today! If you love the hammock lifestyle but cash is tight (or you love bargains), check out our discount hammocks guide. Little-known online sources to help you find a great-priced bed. Explore the only Lawson hammock - the Blue Ridge camping hammock. 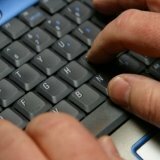 Full independent review, information and buying tips. Hammock Questions And Answers - What's Your Hammock Query? Hammock buying questions answered by the WhatHammock team. Submit your query to receive expert independent advice. Independent Hennessy hammock info and reviews to help you choose the best model for you. 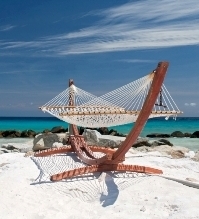 Independent reviews of Pawleys Island Hammock beds and their various accessories.